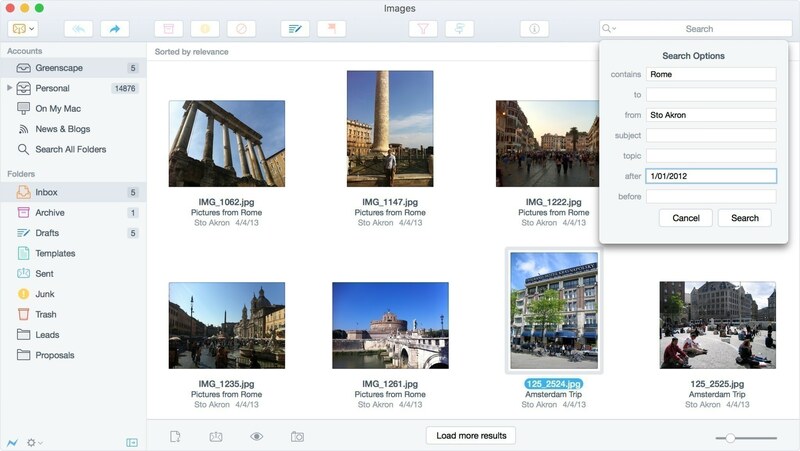 Ultra-Fast Search - Instantly find messages, attachments, images, links, and contacts. 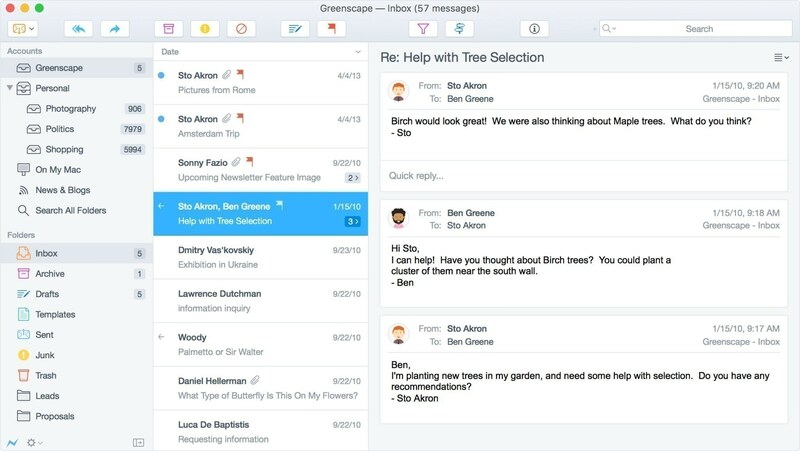 Conversation Views - Make sense of email threads through chronological message views. 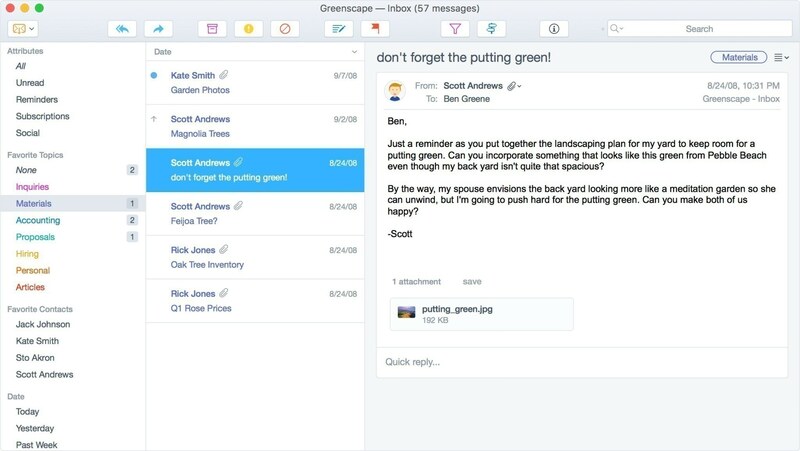 Better Organization - Tabs, Topics, and To-Dos help you stay organized with less effort. Works Great with OS X - Postbox integrates with the Address Book, iCal, iPhoto, Spotlight, and Quick Look. Postbox even works with OmniFocus and Things! Quick and Easy Setup - Postbox will automatically determine your connection settings for you! Language: English, German, French, Spanish (Spain), English (British), Italian, Dutch, Portuguese (Brazilian), Russian, and Swedish.